uses the oscillometric technique to rapidly and accurately measure non-invasive blood pressure (NIBP); heart rate and the ACCUTORR 3 SAT and Accutorr 4 SAT models monitor oxygen saturation (SaO2) as well. 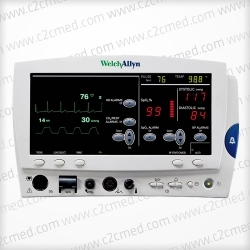 The monitor features large front panel digital readouts; manually initiated or automatic NIBP measurement cycles; and an integral liquid crystal display (LCD) for the presentation of trended data, advisor messages, alarm conditions, elapsed time, a 24-hour clock, and when available a SaO2 waveform. The automatic NIBP measurement cycle uses a continuous timer, permitting automatic sequential measurements of NIBP. 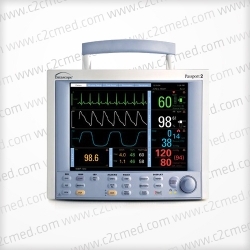 These NIBP measurements, along with heart rate and SaO2 measurements, can be displayed on the LCD as trended data in either a list or graphic format. 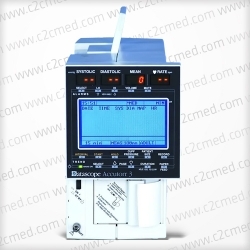 The LCD also displays advisory messages indicating correct or incorrect monitor operation and when necessary, the LCD will also display messages during measurement cycle or display messages to qualify a completed measurement cycle. The Datascope ACCUTORR 3 / 4 allows you to select audible and visual alarm limits. All alarm violations are indicated by an audible alarm tone and flashing front panel display. 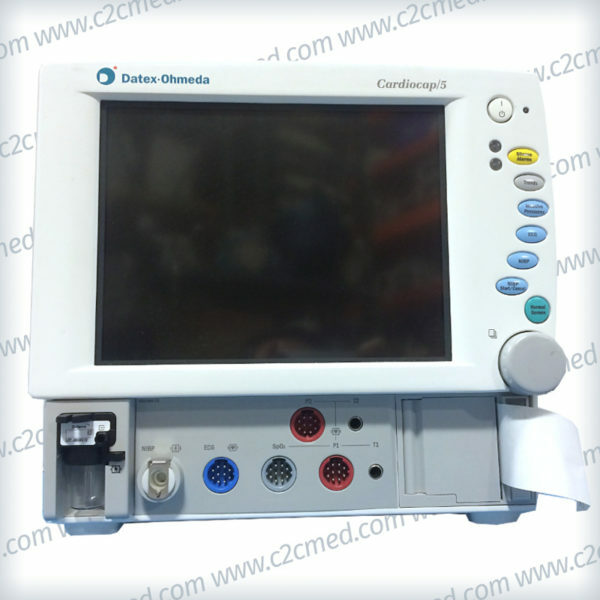 The monitor is available in four configurations. 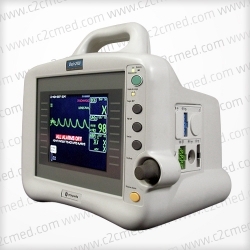 The basic model, the Datascope Accutorr 4 is configured for NIBP and heart rate. The Datascope ACCUTORR 4 SAT adds SaO2. The Datascope ACCUTORR 3 is equipped with a recorder for documenting NIBP and heart rate information. Use the Datascope ACCUTORR 3 SAT if a printout of NIBP, heart rate, and SaO2 is desired. Each printout includes the time and date of each measurement takenand when displayed, patient advisory messages. All four configurations feature battery operation and user-configuration. When the unit is not in the process of performing an NIBP measurement it continuously recalibrates to zero pressure, updating the offset pressure once every second.